I AM A ONE-HANDED VEGAN CHEF AND YOUTUBE CREATOR WHO IS EXPANDING WHAT’S POSSIBLE IN THE KITCHEN. Alexis Hillyard is a local YouTube Creator, self-taught vegan chef, and entrepreneur. 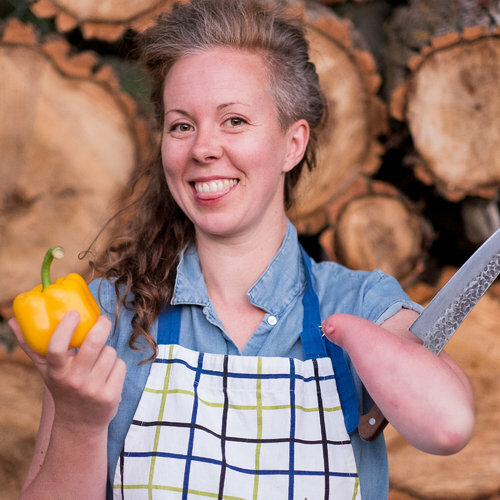 Born without her left hand, Alexis uses her stump as a kitchen tool - from spatula to juicer – while expanding the vocabulary of what's possible in the kitchen each week on her show ‘Stump Kitchen.’ Stump Kitchen is a show that celebrates body diversity, gluten free vegan cooking, and the amazing, unique ways we move through the world. In 2016, Stump Kitchen won Best Food Blog in VUE Magazine’s Best of Edmonton.